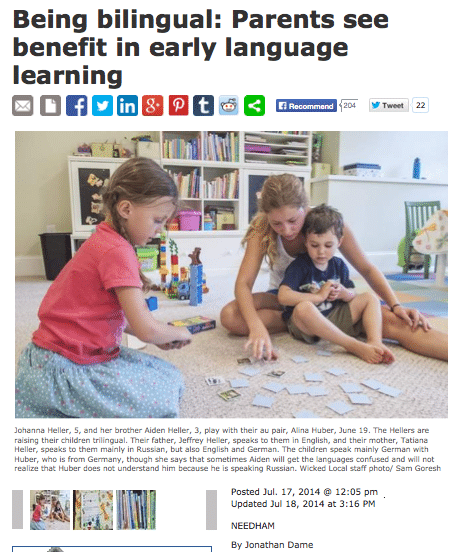 Did you catch last week’s Needham Times article, “Being Bilingual: Parents See Benefits of Learning Second Languages Early” (July 17, 2014)? Many thanks to the Needham Times for a great article, as well as to parents Derek Oliveira and Catherine Caldwell-Harris for taking the time to speak to the reporter. If you haven’t had a chance to read it yet, you can find it on the Needham Times website.